The IVC 7000p was IVCs answer to the need for a portable camera. The camera head had only the minimum electronics in it and the rest was contained in a compact portable CCU (camera control unit). It could be operated from internal batteries and in that mode was fully independent. 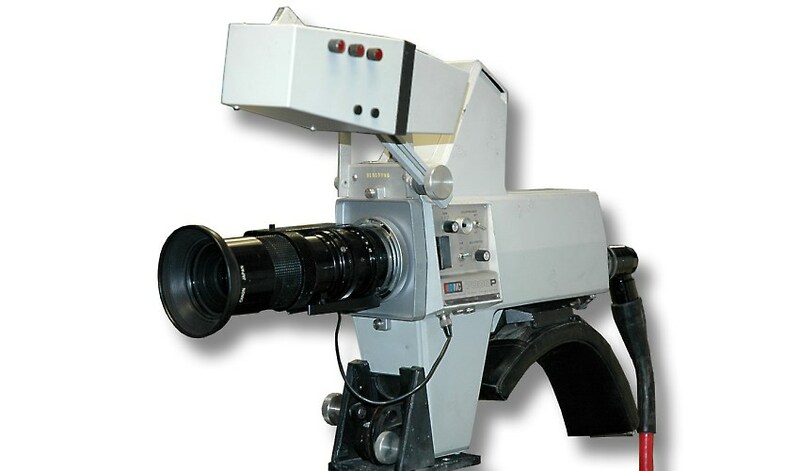 The camera was, by todays standards, heavy and it mounted well forward of the shoulder. A chest brace attached to the camera in place of the tripod adaptor shown here. A range of different lenses could be used including studio ones. In this role the camera mounted into a frame that supported the lens and a 7" studio viewfinder. The frame was nicknamed "the iron lung" (in the UK).